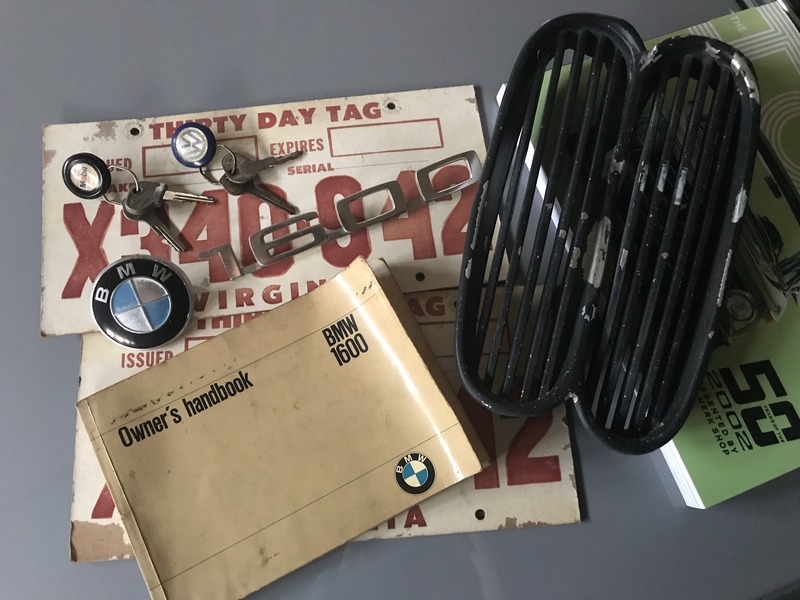 The BMW 1602 VIN 1529238 was manufactured on June 19th, 1967 and delivered on June 29th, 1967 to the BMW importer Hoffman Motors Corp. in New York City. The original colour was Polaris metallic, paint code 060. Currently the car is on a chasis dolly. Plan is for a slow refresh. Wow! Original folding key. Original 10-slat center grille. Original VA 30-day temporary tags. Does the Owner’s handbook or other documents show the delivering dealer? BMW Group Archives report says originally Polaris metallic (silver metallic). Current entry shows original color as Bristol (gray non-metallic). Black or navy blue interior? Polaris metallic is one of only four colors (Chamonix, Sahara, Schwarz, and Polaris metallic) that was available from the inception of the ‘02 in March 1966 through the end of 1502 production in 1977. But it is quite rare among these early 1600-2’s. Perhaps the fact that metallic paints were an additional cost option diminished demand for them, particularly on the less-expensive early 1600-2’s. Great project! Original engine still around? I'll have to look through the owners handbook thoroughly for more clues. 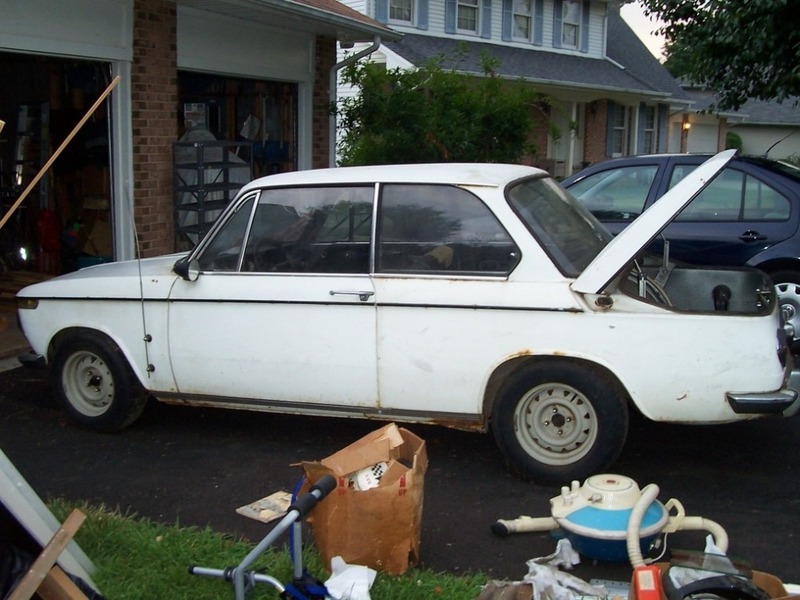 You are correct, BMW Group Archives says it is an original Polaris car. The interior is black, which I believe to be original. Currently the car is painted white (possibly Chamonix.) I think when the early metallic paint failed the original owner opted to save some money and painted it white. The engine bay and trunk are still Polaris though, and I plan on leaving it that way. The stamped VIN number is also the original reddish primer. I do have the original block, long neck diff, early driveshaft and transmission, generator, starter, etc. The gentleman I bought it from stated when he first purchased the 1600, it had Alpina sway bars (which he put on his A4S 02), and Borrani turbo wheels. A box of parts that came with the car also had one of those cool Helphos Rally Spotlights in it.